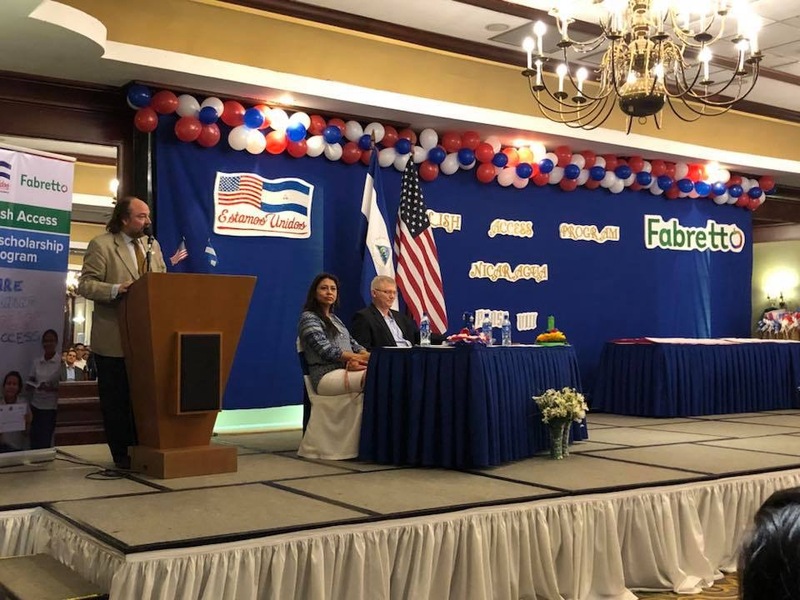 On October 27th, Fabretto, along with the United States Embassy in Nicaragua celebrated the graduation of 220 students from the English Access Microscholarship Program. The closing ceremony marks the end of a 2-year journey for underserved youth and their families. Access targets youth who excel academically but have few resources to study English in their communities and expand their future economic opportunities. 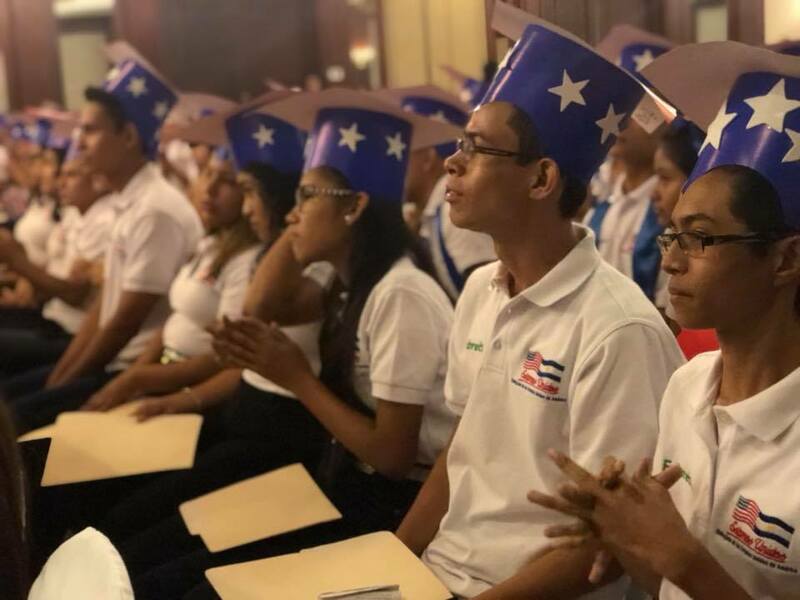 In 2017, Access awarded 220 scholarships to Nicaraguan students in seven Nicaraguan cities implemented by Fabretto: Jalapa, Jinotepe, León, Managua, Matagalpa, Nueva Guinea, and Ocotal. These scholarships enabled young people from underprivileged backgrounds to receive a two-year, full scholarship to study English. In addition, it allowed students to learn and understand cultural aspects of the United States of America and its democratic values. “I am very happy to have learned a lot about what it means to help so many people who really appreciate it; especially having gone through many obstacles this year. We could not have done it without the support of our teachers and the students families who went above and beyond to make it possible for these students to reach their goal,” Alejandra Guzman, Access Program Coordinator, commented. 2018 was a struggling year for many students throughout Nicaragua. Civil unrest and difficulties attending class were only some of the obstacles the students of the Access Microscholarship Program had to overcome. Access has a profound impact on the lives of youth in underserved communities. “Being able to communicate and understand the English language opens many doors. My goal is to continue to develop my English skills and apply to a university scholarship abroad,” expressed 17-year-old student, Uziel Duarte. Fabretto and the Access program have a long history of mutual collaboration. These young adults are representing many young Nicaraguans who are struggling to achieve success. We are proud to have been the implementing partner for the 8th cohort of the Access Microscholarship Program. We thank the government of the United States for this great work in favor of youth, and for investing in the future leaders of Nicaragua.